The growth in U.S. e-cigs sales, particularly top-selling Juul, comes despite increased FDA scrutiny and criticism from anti-tobacco advocates about anecdotal reports on youths using the product, including while they’re in school. Rep. Donnie Lambeth, R-Forsyth, plans to request more money for tobacco-use prevention during the 2019 legislative session. A slight increase in legislative funding toward tobacco-prevention initiatives was the catalyst for a one-place improvement in North Carolina’s ranking in an annual national report. North Carolina went from 43rd to 42nd in terms of how much it funds annually toward tobacco-prevention programs, such as quit lines and public health marketing initiatives. That raises state spending on the programs to $2.8 million annually, according to the coalition. By contrast, the federal Centers for Disease Control and Prevention recommends North Carolina spend $99.3 million on such programs. That means North Carolina spent about 2.8 percent of the CDC recommendation even though the state gained $450.4 million in fiscal 2017-18 related to tobacco excise tax and its share of the annual Master Settlement Agreement payments from tobacco manufacturers. “North Carolina is putting kids’ health at risk and burdening taxpayers with higher tobacco-related health care costs by continuing to shortchange tobacco prevention programs,” said Matthew Myers, president of the Campaign for Tobacco-Free Kids. Rep. Donny Lambeth, R-Forsyth, and the main author of health-care legislation in the state legislature, acknowledged the challenge of tobacco-cessation initiatives in tobacco country. “North Carolina has so many rich traditions, and our farmers are the back bone of our economy and in many cases are responsible for feeding the world,” Lambeth said. 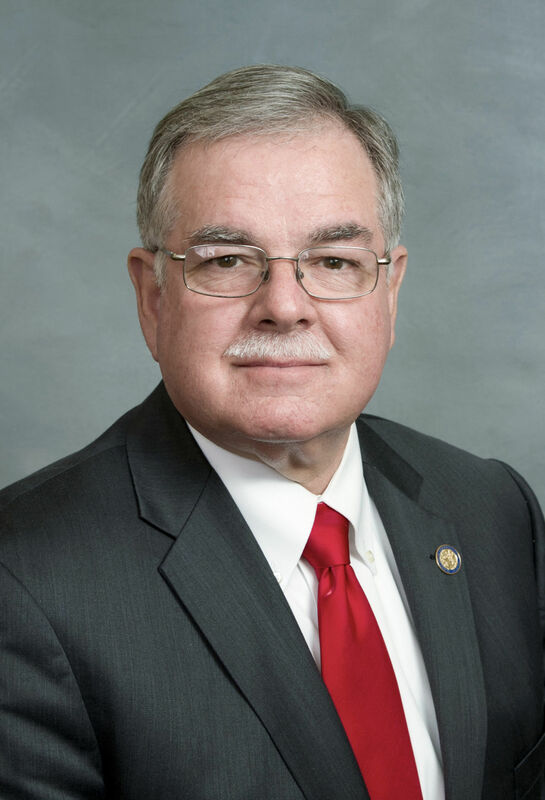 Lambeth plans to reintroduce in the 2019 legislative sessions his Carolina Cares bill that would expand Medicaid in the state with a work requirement for some beneficiaries. “We must commit more funding to educate the public, particularly the young and most vulnerable citizens of the risk of vaping,” Lambeth said. “I added more money in the budget, but it was cut as it has been done year after year. I will again request more support for tobacco prevention. About 17.2 percent of North Carolina adults consumed a tobacco product, down from 17.9 percent in the 2016-17 time period. The percentage of high school-age smokers dropped from 13.1 percent to 12.1 percent. By comparison, the national adult smoking rate is 14 percent and the high school-age rate is 7.6 percent. Both percentages are based on consuming a tobacco product at least once over a 30-day period. Still, 34.3 million U.S. adults still smoke, including 1.39 million North Carolinians, and 47 million use some form of tobacco. Meanwhile, the percentage of N.C. high school students who consumed an electronic-cigarette product was at 22.1 percent. “We’ve made great strides in reducing smoking rates, but we cannot let our guard down as tobacco is still the No. 1 cause of preventable death and e-cigarettes threaten to addict another generation,” Myers said. The report was released Friday by the Campaign for Tobacco-Free Kids, American Cancer Society Cancer Action Network, American Heart Association, American Lung Association, the Robert Wood Johnson Foundation, Americans for Nonsmokers’ Rights and Truth Initiative. “Our progress shows that the battle against tobacco is entirely winnable if proven strategies are fully implemented. But enormous challenges remain,” the coalition said. “There are large disparities in who still smokes and who suffers from tobacco-related disease, with especially high smoking rates among people with lower income and less education and other specific populations. “The youth e-cigarette epidemic, driven by the skyrocketing popularity of Juul, is an urgent challenge that must be addressed to prevent yet another generation from becoming addicted to nicotine,” the coalition said. The coalition has for several years taken North Carolina’s elected leaders to task for cutting funding toward tobacco-prevention programs. Tobacco companies, including R.J. Reynolds Tobacco Co., agreed in 1998 to settle lawsuits that 46 state attorneys general brought over smoking-related health-care costs by paying those states at least $246 billion over 20 years. Some Master Settlement Agreement payments remain in place beyond 2018. Economists say most states have become dependent on MSA money and tobacco excise taxes to fill general-fund gaps. For example, in 2011, the Republican-controlled General Assembly abolished the N.C. Health and Wellness Fund — funded by MSA monies — after 10 years of existence as part of an attempt at resolving the state’s budget gap at that time. The average annual spending on the state programs had been $17 million at that time. According to 2017 Federal Trade Commission data, tobacco companies spend more than $14 to market tobacco products for every $1 the states spend to reduce tobacco use. The amount spent by the major cigarette and smokeless tobacco companies was $9.5 billion in fiscal 2017-18. Nationally, the participating 46 MSA states will collect $27.3 billion in fiscal 2018-19. They are projected to spend 2.4 percent, or $655 million, on tobacco prevention and cessation programs. Meanwhile, anti-smoking advocates are urging state health officials to embrace e-cigs and vaporizers as a reduced-risk option to traditional cigarettes. Some studies, most prominently one by the Royal College of Physicians in London, have found that e-cigs and vaporizers are up to 95 percent safer to consume than traditional cigarettes. The coalition repeated its long list of recommendations for Congress and state legislatures to reduce tobacco consumption. They include: increasing funding for quit lines; reducing nicotine levels in traditional cigarettes to very low levels to decrease the possibility of smokers getting addicted; requiring graphic warnings covering at least half of cigarette packs (which has been bogged down by legal challenges); prohibiting the use of menthol in cigarettes and flavors in other tobacco products; and raising the age for consuming tobacco products to 21. In the past year, there has been significant progress on two tobacco-reduction fronts. On Nov. 15, the Food and Drug Administration said it wants to ban the sale of traditional menthol cigarettes and cigars. Under the plan, the only e-cig flavors that could be sold would be tobacco, menthol and mint. The recommendations represent a dramatically tighter regulatory approach to tobacco products. It is projected it will take years for the FDA to go through the regulatory process to implement the heightened restrictions. The agency will likely face multiple lawsuits from tobacco manufacturers and anti-smoking groups. FDA Commissioner Dr. Scott Gottlieb cautioned he is prepared to take further regulatory steps if the agency doesn’t get the cooperation it expects from manufacturers. Meanwhile, the snowball effect on the age-21 movement for buying tobacco products has reached an acceleration point once thought unfathomable within the industry. The top two U.S. tobacco manufacturers — Altria Group Inc. and Reynolds American Inc. — have signaled their support for raising the minimum purchasing and usage age for their products from 18 to 21. As recently as 2014, the top manufacturers — which included Lorlliard Inc. at that time — were adamant in their stances for preserving 18 as the minimum age for their products.